Your Competition Stealing your Customers, are you okay with that? Research has shown 96% of all Small Businesses are losing their customers to their competitors. What is the cost of one lost sale? Research also shows for every $1,000 you take in you are losing $9,000. Let us build a market dominance niche strategy with "Dominate Your Local Market". Our "Done-For-You-Service" to help business owners drive tremendous traffic to business owners. "Done-For-You-Service" by the BroadMoar Marketing Agency. Let’s face it: gaining an edge over your competitors is all about creating an effective local search strategy. Whether you’re the owner of a small business or part of a franchise group, you probably already know the value in having a definitive step by step guide when it comes to moving up in local SERPs (Search Engine Ranking Reports) and crushing your competition. 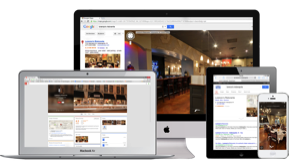 Google is continuously putting more emphasis on local search. Now is the time to re-evaluate your local search strategy and create a brand new plan of action that we can start implementing right away. Sure you’ve found a ton of great resources for local search on the web, but we’re betting you haven’t found a complete walk-through of the best local optimization tactics to date…until now. We’ve compiled this holy grail of "White Hat" tactics, tools and trade secrets needed to get to the top of the local ranking board and most importantly in the Google Local 3-Pack. We have a done for your services "Local Search Strategy" or your can take our 3 days comprehensive workshop "Dominate Your Niche". You don’t have time to scour the internet and piece together every possibly feasible resource for local marketing.